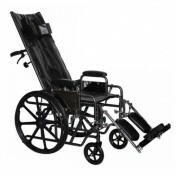 ProBasics Value K1 Wheelchair by Invacare is a durable, high-quality wheelchair featuring flip-back, padded desk-length arms and elevated legrests to provide optimum comfort for the user. 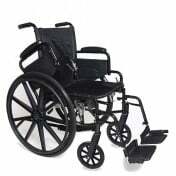 The durable, nylon upholstery is attractive and easy to clean, while the composite MAG wheels with maintenance-free bearings are strong enough to tackle most surfaces. 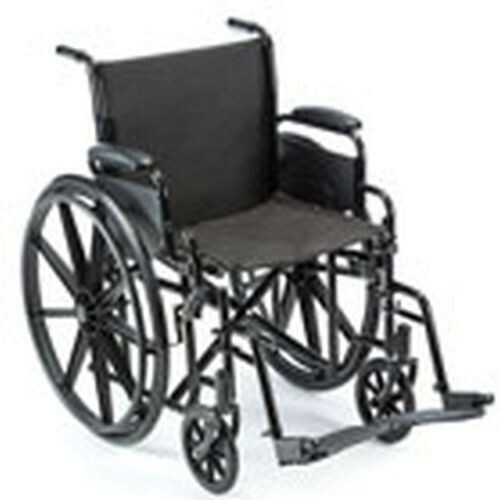 The ProBasics Value K1 Wheelchair is available with either a 16 inch-, 18 inch-, or 20 inch-wide seat to accommodate a wide range of individual sizes. Choose the ProBasics Value K1 today and add vitality to your life. 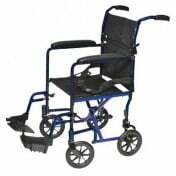 Vitality Medical also carries other items that would pair well with the ProBasics Value K1 Wheelchair, such as the Gel Foam Pressure Redistribution Wheelchair Cushion and the Oxygen Cylinder Carry Bag For Wheelchair. Durable, Nylon Upholstery Is Easy to Clean. 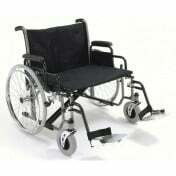 Composite MAG Wheels With Maintenance-Free Bearings. 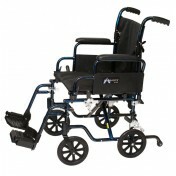 Allows User to Self-Propel Or Be Propelled By Caregiver. Padded, Elevating Legrests For Comfort.